Arch and Godfrey completed Kirk Supermarket in 1989. 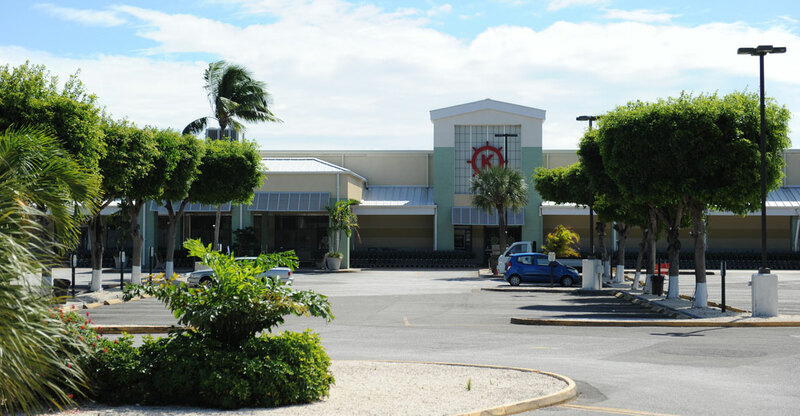 Kirk Supermarket is 56,000 square feet, at the time the largest single storey building in the Cayman Islands. Arch and Godfrey was able to complete the job in an amazing ten months, plus it was done under budget, and it was done on a handshake- there was no signed contract for this project. Kirk Supermarket was designed with the customer in mind. It has spacious aisles, a full service meat department, and a large fresh fish section including a large lobster tank, which was innovative to Cayman. The store also includes a full service deli, bakery, a large frozen food department, and a pharmacy.